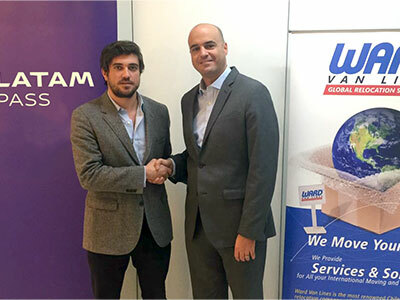 Once again, we are proud to offer our customers a great benefit, thanks to our new WARD VAN LINES – LATAM Pass alliance. When moving with WARD VAN LINES to or from any city in the world, you can now earn LATAM Pass Kms. These can be used to travel and experience new destinations, make upgrades to Business Class (in LAN, TAM, or any other Oneworld alliance airline), or purchase thousands of products in the LATAM Pass Catalog. The accrual rate is 1.5 LATAM Pass Kms for every $1 dollar spent. Kilometers associated with this promotion will be credited to the member’s account no later than 30 working days after hiring the moving service. The use of LATAM Pass Kms obtained with this promotion is subject to the terms and conditions of the LATAM Pass program. Benefits are valid only for LATAM Pass members. Valid starting May 1, 2016.